We can advise you on the most suitable gas appliances for you needs, from hot water heaters, cooking appliances and space heaters together with installation. We cover all aspects of plumbing from dripping taps, leaking toilets and hot water installations to renovations and new builds. From hot water systems, BBQ points and gas cooktops to commercial cookers and outdoor heaters. We can help with all your drainage needs from sewer conversions, strata blocks, and all commercial and domestic drainage installations. 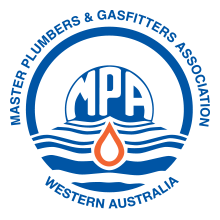 Emergency plumbing within Perth and Fremantle. 24 hours / 7 days a week. Plumbing maintenance for both residential and commercial properties. We're ready to service Strata Managers and Body Corporates. Call us today. Hot water heater specialists. Repairs, installations and replacements. We can assist with all types of kitchen, bathroom and laundry renovations. Specialising in storm water drainage repairs, maintenance and servicing. Superior Plumbing are your trusted source for the design & installation of soakwells. We fix blocked drains, drain cleaning, blocked sewer drain, blocked stormwater drains and more.